Nearly 400,000 NASCAR fans are at Texas Motor Speedway for race weekend. Fans have a chance to see some of the biggest names in professional racing, including drivers Jeff Gordon and Dale Earnhardt Jr. But with severe weather looming, some said they plan to leave after the race, while others said they plan to stay and weather the storm. "We are going to stay the night, go back sometime tomorrow, we are from Oklahoma a little storm doesn't scare us, we are going to stick it out," said NASCAR fan, Jared Howell. 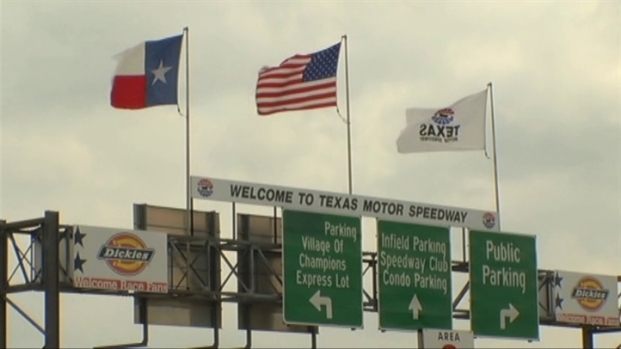 Texas Motor Speedway plans to keep NASCAR fans safe against possible severe weather, while fans say they are prepared for the storms. Nearly 80,000 race fans are camping out in RVs at the Speedway and said they plan to leave Sunday morning, when the storm is expected to hit North Texas the hardest. Officials with TMS said they will ask fans to take cover under the stands in the concourse area, if there are any weather threats at Saturday nights race. If the storm becomes to severe on Sunday, they will begin providing shelter in tunnels, to keep campers who do stay, out of harm's way. Advice Howell said he and his family will gladly accept the offer, "I'll imagine we will go down in the tunnels ourselves we got to keep everybody safe," said Howell.